A prisoner was blinded in one eye after acid was thrown in her face by an inmate at a West Yorkshire prison. Charlene Watson suffered “melting” injuries to her cornea after the corrosive liquid was thrown at her by Roxanne Hawksley. 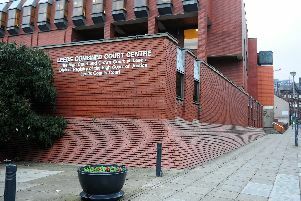 Leeds Crown Court heard the attack took place when both women were serving sentences at HMP New Hall, near Wakefield. Hawksley pleaded guilty to causing grievous bodily harm over the incident in October 2016. She avoided being jailed over the incident after claiming she believed she had been throwing urine Watson. Thomas Stanway, prosecuting, said Miss Watson was standing by a sink in a cleaning cupboard when Hawksley threw a deodorant cap filled with liquid at her. Hawksley then threw another container which hit Miss Watson on the head. The court heard Hawksley then helped Miss Watson put water on her face. Miss Watson suffered serious burn injuries to her cornea and has undergone three operations to restore her sight, without success. She may have to undergo a stem cell transplant in a bid to repair the cornea. Hawksley was arrested and denied deliberately injuring her with the acid. The 33-year-old said she had been cleaning the prison walls with disinfectant and had told an officer that it smelled of urine. Hawksley said the liquid had splashed on the victim when she was throwing it away. Mr Stanway said the Crown Prosecution Service accepted Hawksley’s basis of plea that she believed she had been throwing urine. Hawksley has previous convictions for violence and drugs offences. James Moore, mitigating, said Hawksley was sorry for causing the injuries. Mr Moore said Hawksley, of Duncan Close, Leicester, is no longer in prison and is receiving help to tackle her drug problems. Hawksley was given a two-year prison sentence, suspended for two years, and ordered to take part in a 20-day rehabilitation programme. Judge Tom Bayliss, QC, told Hawksley she could have been jailed for up to 12 years if she had been convicted of deliberately throwing acid at the victim.